Porvair plc sees revenue growth of 18% in the four months ended 31 March 2019. 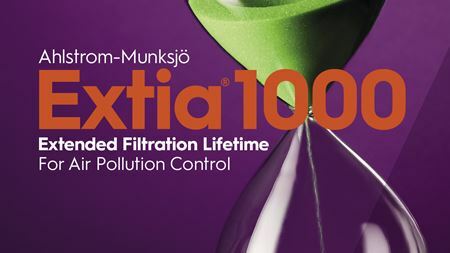 The Extia filtration media is designed for Air Pollution Control applications. Featuring Donaldson, Suez Water Technologies and Toray. Monitoring system offers filtration insights for an entire fleet of trucks. Sandler will be showcasing its nonwovens for indoor and outdoor use. How SEPURAN Green membrane technology has the potential for Biomethane to replace Natural Gas step by step. Filter Cubes technology now includes a newly developed combifilter medium. Filtration specialist Mann+Hummel reports preliminary revenues of €4 billion for 2018. EnduraCube air filters have multi-layered, synthetic media which can trap and hold more dirt. Kai Knickmann, president & general manager Original Equipment at Mann+Hummel, leaves the company at the end of this year. The specialist filtration and environmental technologies group says that its 2018 earnings are forecast to be ahead of management’s expectations. Biomethane from organic waste as a fuel alternative. Filtrex 2019 will highlight future growth areas. Nic Zerbst will be Mann+Hummel’s new president and chief operations officer from 1 February 2019. Andritz will supply SeaSOx desulfurization systems for exhaust gas cleaning. CFO Gunnar Voss von Dahlen joins the board. Werner Lieberherr comes to Mann+Hummel from Rockwell Collins Inc.
Special seals facilitate very thin cell designs. Reports show filter has achieved separation efficiency of 80%. The Xylem-sponsored international competition drew entries from students in 32 countries around the world.